That was one expensive shower! Some of you my have noticed on Facebook that last night we had a bit of an incident with our kitchen ceiling. To save repeating myself (joke there for mum and dad) here is an account of the whole sorry experience. changed its noise and the power shower became a pathetic shower. At this stage I was mid lather. “Strange” I thought (whilst trying to make horns with my lathered hair) then I thought “hmmmmm”. I stroked my beard (also made of lather) and thought “I bet you this is the washing machine”. Sometimes when we turn the hot water on downstairs, the drop in pressure triggers the pump upstairs. I bet that was it. because I couldn’t bear the smell? No? Then you obviously haven’t spent more that 5 minutes with my mother). I could smell damp wood. That didn’t bode well. I stopped the shower and shouted to Karen to check what the washing machine was doing (at the time she was wrapping the present for the birthday party). I put my Chewbacca dressing gown on and stepped out of the bathroom. “There’s water pouring out of the ceiling!” Karen screamed. I sped down the stairs and ran into the kitchen (which is below the bathroom) and lo and behold, there was water pouring out of the ceiling. I threw myself under the sink to turn off the stopcock (throwing the contents out as I went. I always wondered where we kept all those vases, bits of candle and tins of Brasso). I found the stopcock straight away, turning it was another matter. It was stuck solid. I grabbed a wrench and tried again. No luck. At this point I questioned my ability to remember which way to turn off a tap. “It is Lefty Loosey and Righty Tighty isn’t it?”. No joy. Next stop. Hammer. dad”. Keith and Chris are our neighbours and Keith is the sort of person who knows a lot of people and seems to know how to handle himself in a crisis. I decided that if I couldn’t stop it at the stopcock, perhaps I could stop it at source i.e. under the bath. I ran back up the stairs but before I got halfway up, we heard a crash as the ceiling came down taking out the power with it. Luckily the kitchen is on its own circuit so we still had power to the rest of the house. I ripped the bath panel off and there was the culprit. The hose going into the pump was loose and water was pouring out of it. I fought my way into the airing cupboard (who puts a set of drawers in front of their airing cupboard…oh, we do) and turned the water off from the hot water tank. 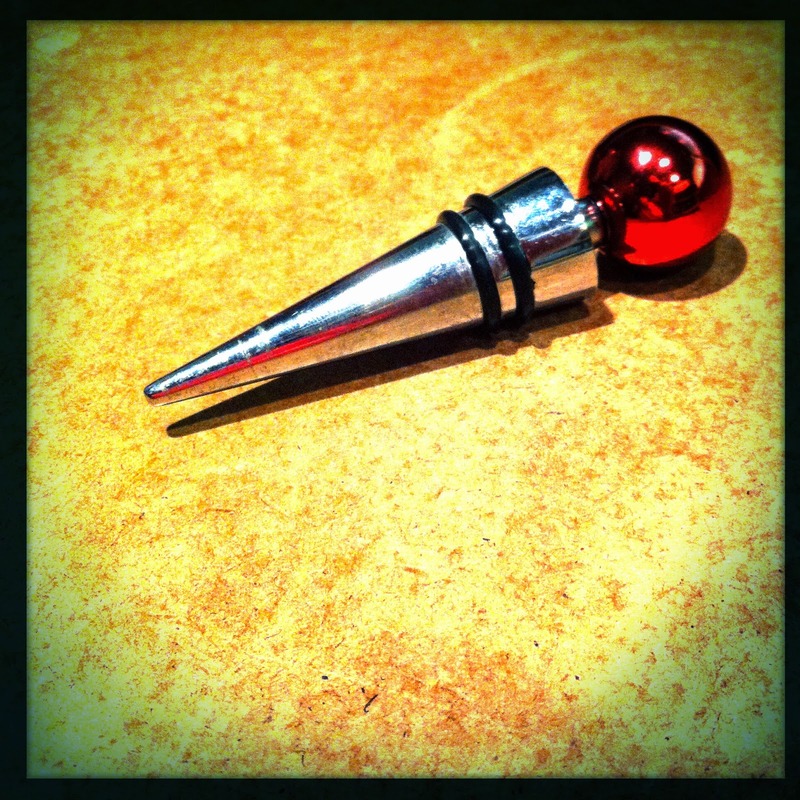 I ran back into the bathroom and did the only thing I thought might work…I stuck my finger in the pipe. At this point I heard Chris and her brother in law Carl’s voice from downstairs. It was then that I realised something. 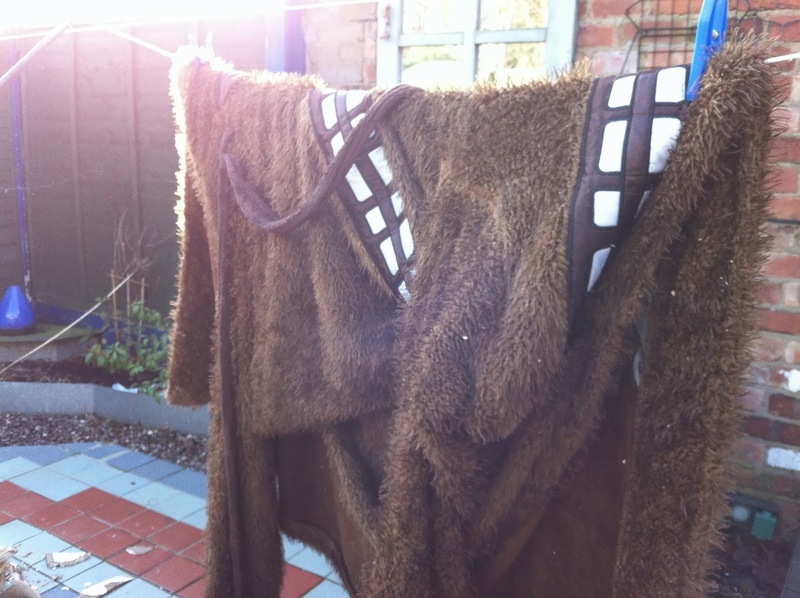 In my desperation to get upstairs I had discarded my wookie dressing down and that now lay in a puddle under a pile of plasterboard in our darkened kitchen. I was now crouching naked in the bathroom with my finger in a pipe with our neighbours downstairs. I jumped up, got another dressing gown and ran down to meet them. For the next 10 minutes Carl tried the stopcock (no joy), turning off the filler tank (no joy) and so I retuned to my little Dutch boy position…prostrate on the floor with my finger in a pipe. can). I shoved that in the hole to give my finger a rest. 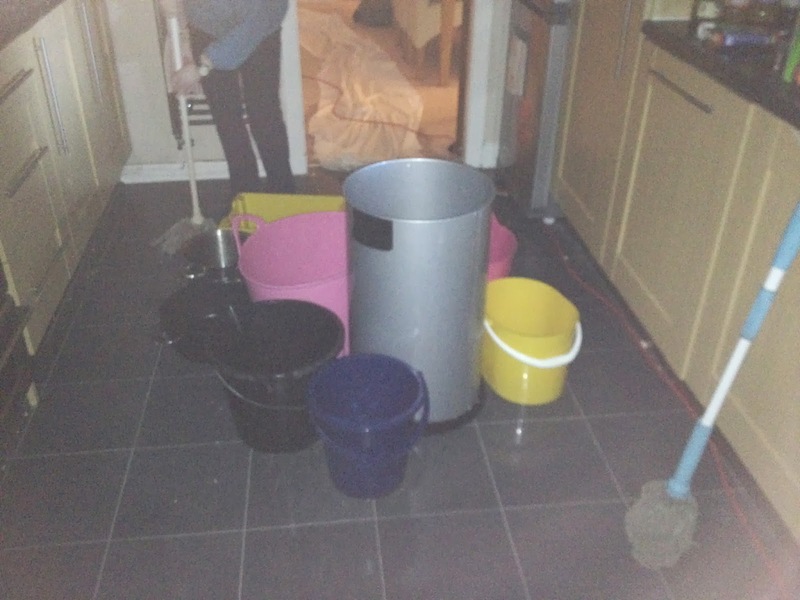 By the end of the evening we eventually had all the water off, half of the neighbours’ buckets, pans and truggs on the floor collecting water and the debris of the ceiling on the patio. There is a moral to this story. Gentlemen, check your stopcock regularly. If you don’t know where it is locate it and make sure you can turn it. Lubricate it if necessary but make sure you can turn it in an emergency. 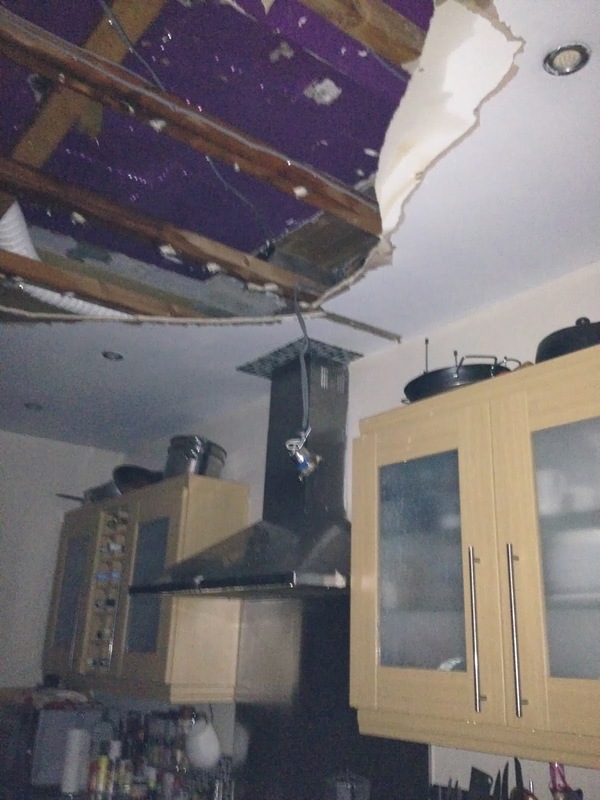 We have the joys of the insurance claim to go through yet, but other than the kitchen ceiling, the kitchen floor, the kitchen electrics and the dining room carpet there may have been one fatality from the proceedings. We’re not sure if Chewie is going to make it. ← Would you like a bag for that comrade?